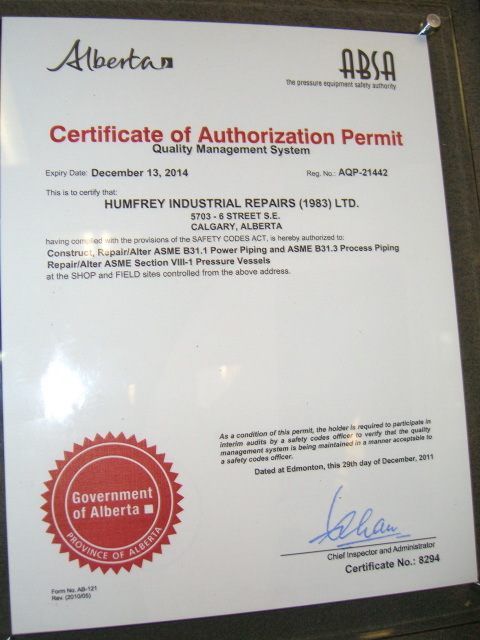 Humfrey Industrial is pleased to announce the completion of it’s quality management system ABSA AQP-21442. 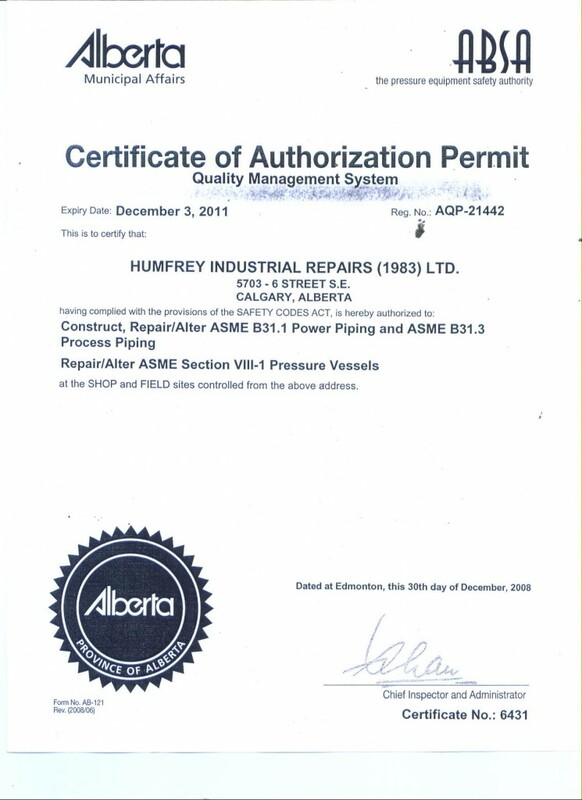 We can construct, repair and alter AMSE B31.1 power piping and ASME B31.3 process piping, and repair and alter ASME Section VIII-1 pressure vessels. A supervisor who is qualified under the CSA W47.1, CSA W47.2 and W186 standards makes sure that the company’s welding procedures covering all joints, processes and positions used in fabrication.